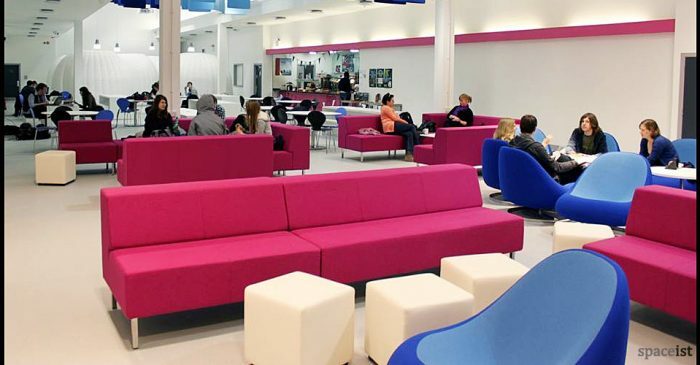 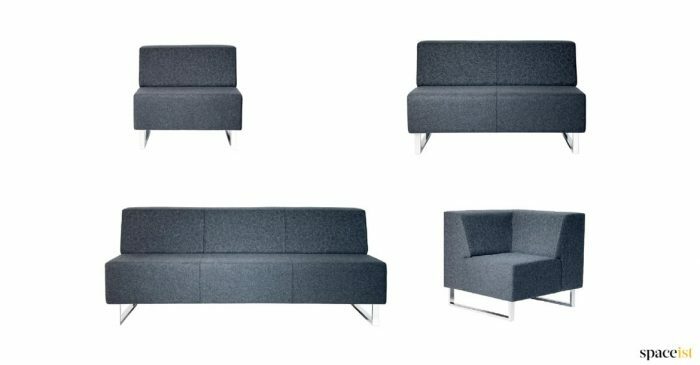 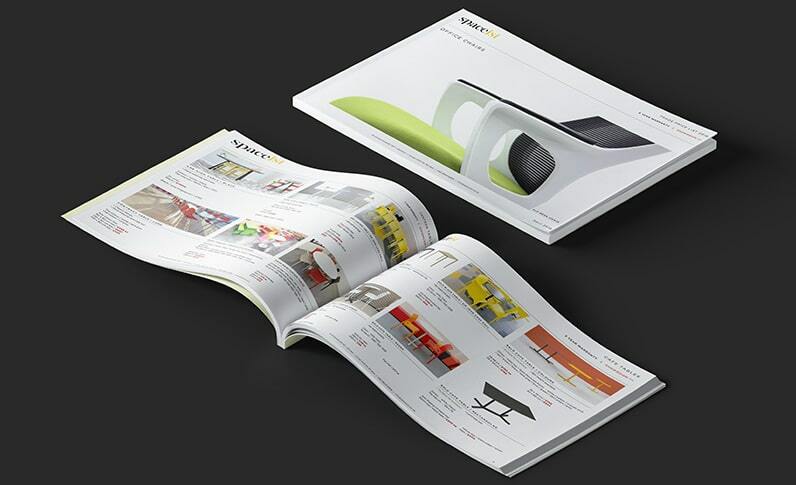 Categories: Breakout chairs, Soft seating. 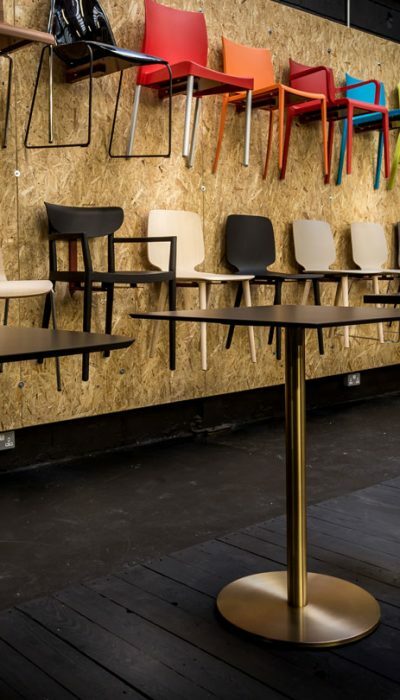 Venus is a compact vintage style bar chair with soft seat and back. 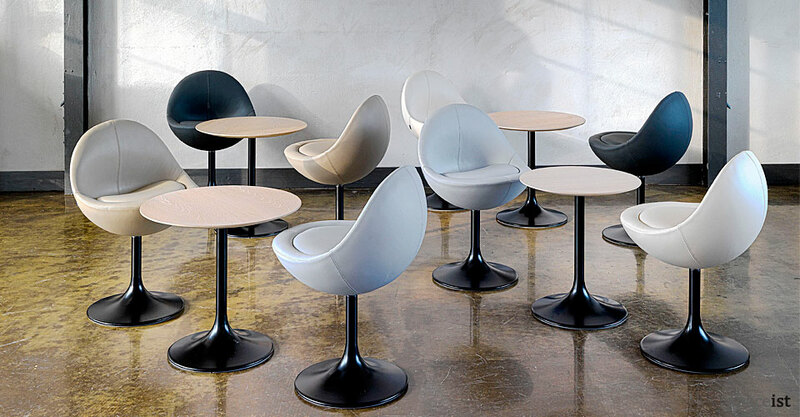 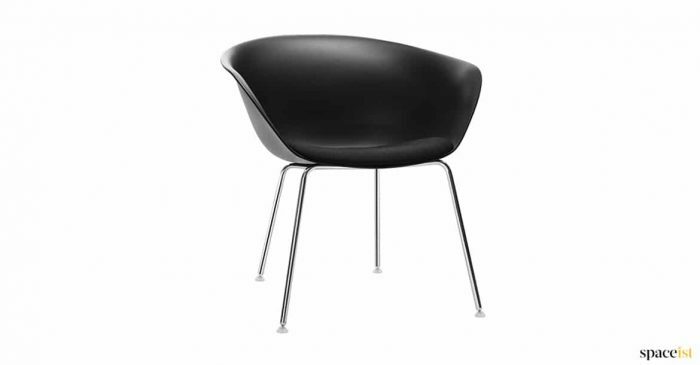 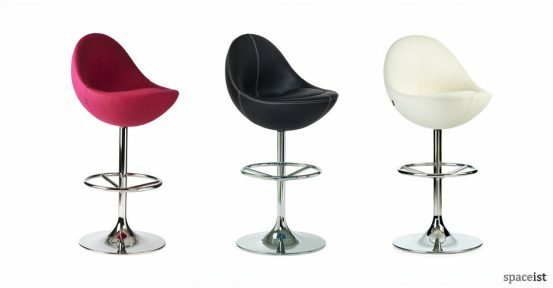 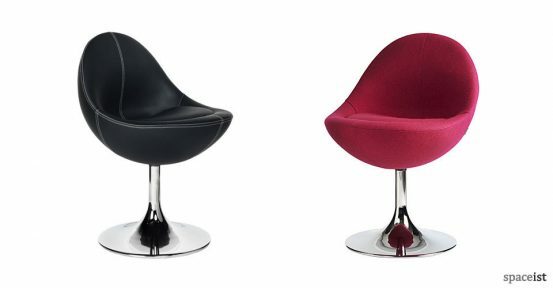 The swivel base can be chromed or painted and the seat upholstered from a large range of fabrics and leathers. 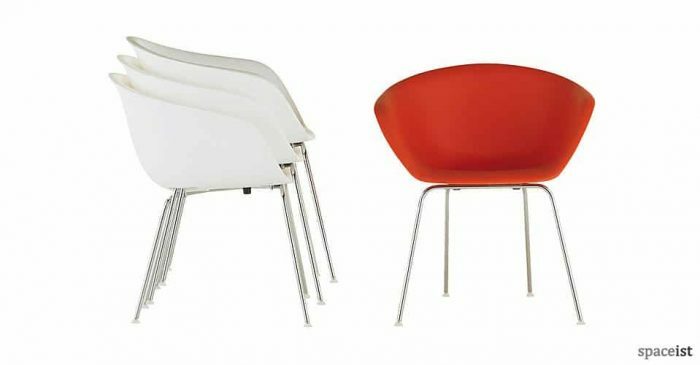 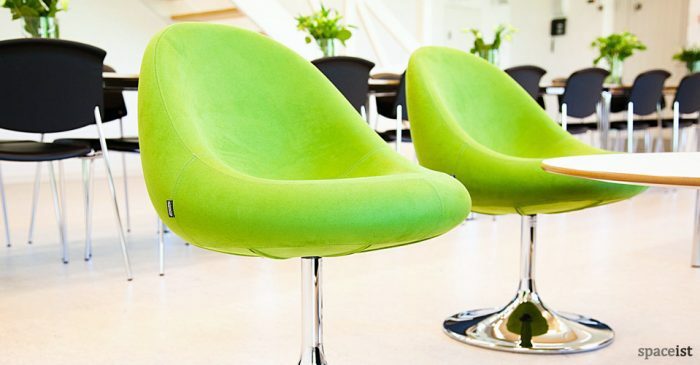 Rounded staff chairs chairs in lime, red, green, orange, black or purple plus many more fabric and vinyl colours. Pink modular break out sofa with chrome base. 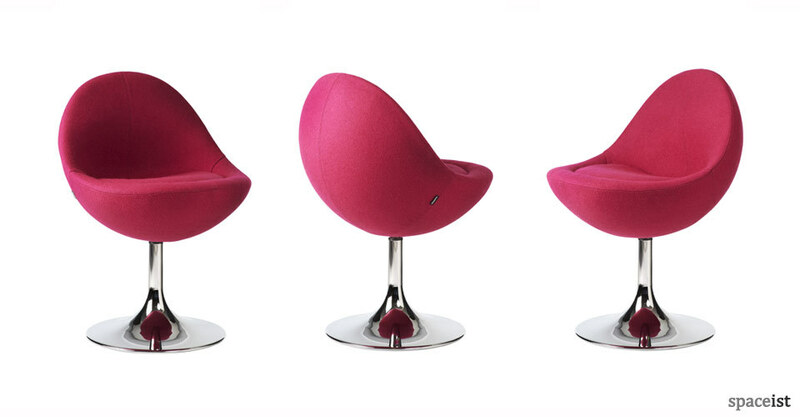 Seat comes in red, blue, orange, pink plus further colours.